Storybook Tree Services is based out of Oakville and accommodates a large clientele from Toronto. 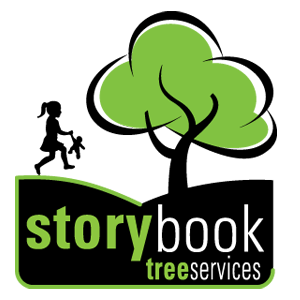 Description/Summary: Storybook Tree Services stresses RELIABILITY AND SAFETY on all jobs and constant vigilance and mindfulness is of the utmost importance on the Tree Crew. Being aware of inherent dangers in the tree industry and the knowledge to avoid them is most important. Storybook encourages education and continued job skill improvement. We are members of the International Society of Arboriculture (ISA) and promote employees obtaining their certifications and Arborist Licensing. All Storybook employees have an expectation to always promote our services and products and embrace the importance of networking to bring more business connections that will lead to future clients and more services for existing clients. We are currently looking to fill two positions within our team one of a climber and one ground tech. Cabling, bracing, tying, bolting, staking and guying trees and branches. The Ground tech, this position in the Storybook Tree Crew Division is a support and hi-technician level job that entails close observance of all safety issues involved in Tree work as well as skills that support the work performed by the Tree Crew, allowing a smooth flow of productivity at the job-site. Storybook Tree Services Inc. is looking for candidates for our operations in Oakville, Ontario. We are looking for intermediate to advanced candidates with a minimum of 2 years tree service experience. Ability to pull, push, and lift up to 60 lbs and work in hot or cold weather months. Filling equipment with gasoline or diesel while being mindful of safe handling of fuels. Riggings used in tree work- ex: rope breaks and speed lines.